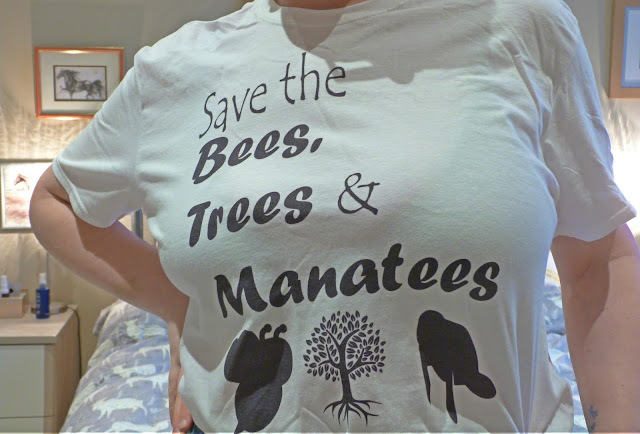 Small Business Series Part 28 | Some Weird Tees - How To Style Your Save The Trees, Bees And Manatees Shirt | Plus Giveaway! Hello there! I have decided to start another new series on my Blog, this time focusing on small businesses. Being a blogger I am regularly put in touch with owners of small businesses and it is a really enjoyable part of being a blogger. Whether it be reviewing a product, service or finding a new company which sells fashion at an affordable price, there is often a small team of people behind it, plugging away, putting in the late nights and the early mornings trying everything to make a success out of their little business. I do feel, that as bloggers we do owe some responsibility to them as more and more of them are turning to Twitter and bloggers alike to promote themselves. Plus, I think it's fun being one of only a handful of bloggers lucky enough to discover a burgeoning business and getting to trial some of their products! Or is that just me!? Some Weird Tees is run by Lauren who lives a rather wonderful life in Virginia Beach America. 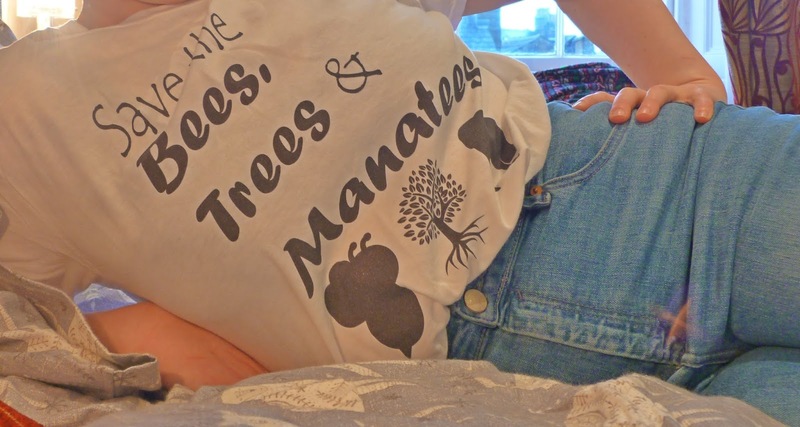 She decided to start selling her t-shirts after making her own shirts for a while and getting compliments on them from friends telling her to 'go for it!'. The best reason as any some would say! 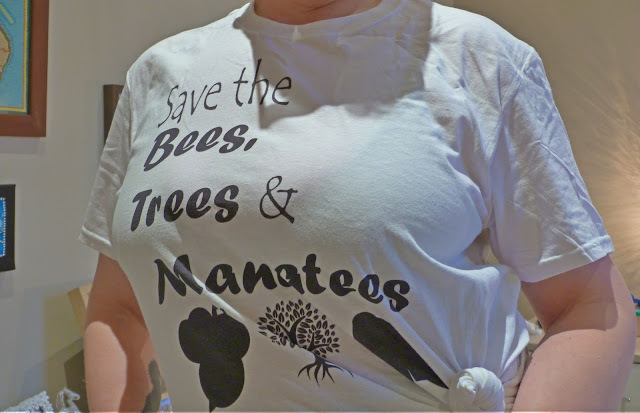 100% of the profits from the 'save the earth' collection (save the mermaids, save the bees, trees and manatees) go to organisations to help keep the earth a healthy place! This is amazing and really does show that shopping small makes a massive difference to not only the business owner but the planet as a whole! I would definitely choose to shop here if it meant that my money was doing good. Lauren is very active on twitter and loves nothing more than sharing her designs with us in the hopes that we'll engage with her and send some love/business her way. Her snag line for her business is: 'Weird Chick Owned & Operated since 2016' which just makes me smile whenever I see it! Shows that if you're weird you may as well make a business out of it! I am very pleased to be working with Lauren for this post and to be hosting a giveaway where you can win a tee of your choice from her collection. I'm also a brand ambassador for her cool shop so if you see anything you love or want a custom tee, just use my code SARAH** for 10% off your choice! Don't say I'm not good to you! 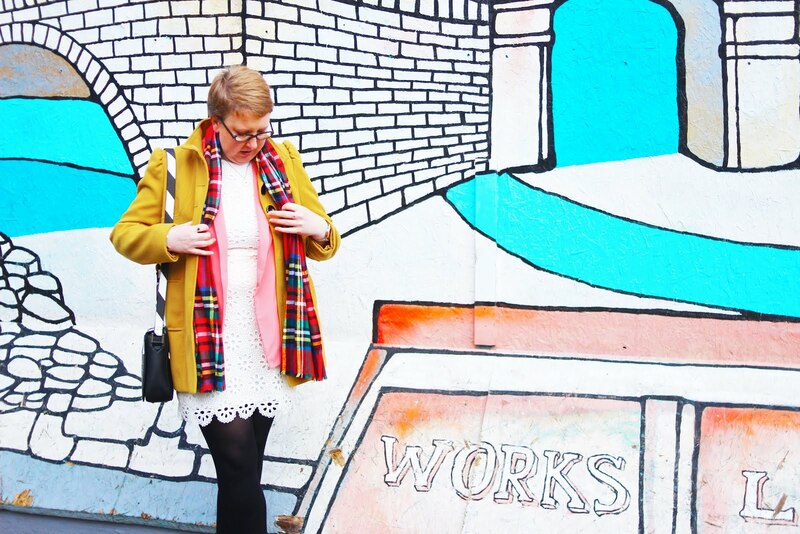 Firstly let me say that I am by no means a fashion blogger, I have my own individual style and it's probably not what's cool but it's what I love and what makes me feel good - at the moment at least! So, my favourite jeans of the moment are these Farleigh High Waisted Mom Jeans from ASOS - LOVE THEM! Why has it taken me so long to become converted?! I used to live and die by skinny jeans but no more! The more high waisted the better! 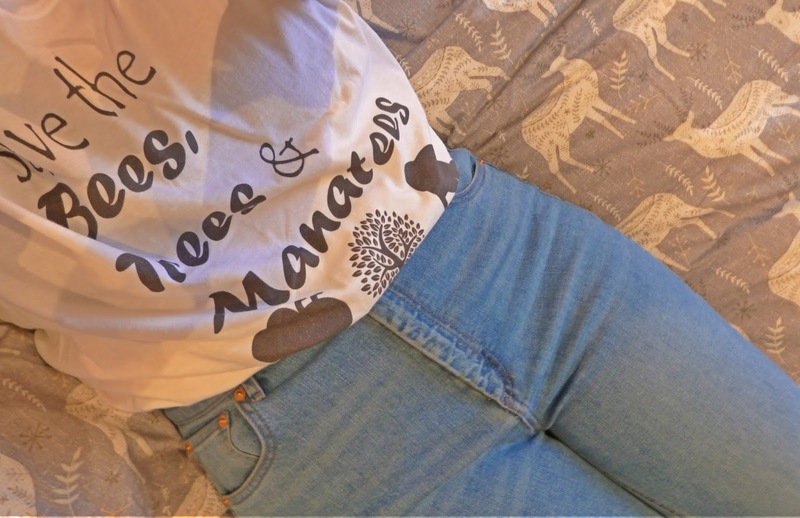 They go perfectly with so many tops and I love tucking in a t-shirt into them like I've done here. Or as this t-shirt is more on the large side (American sizing for you! Size down if you want a more normal fit) I can just about tie it into a knot and then have it just over the top of the jeans, perhaps tucking the back of the shirt in a little bit if the material allows. Or as it's so big, there is of course the best way to wear it - as a night shirt! 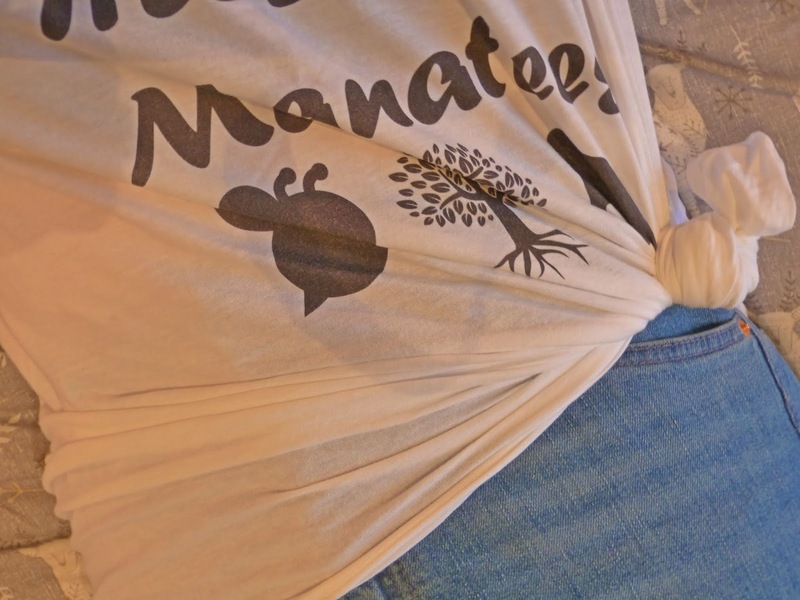 I love doing this with massive t-shirts, there's just something about wearing a shirt that's too big for you with only shorts/knickers on underneath which just reminds me of wearing a boy's top to bed! 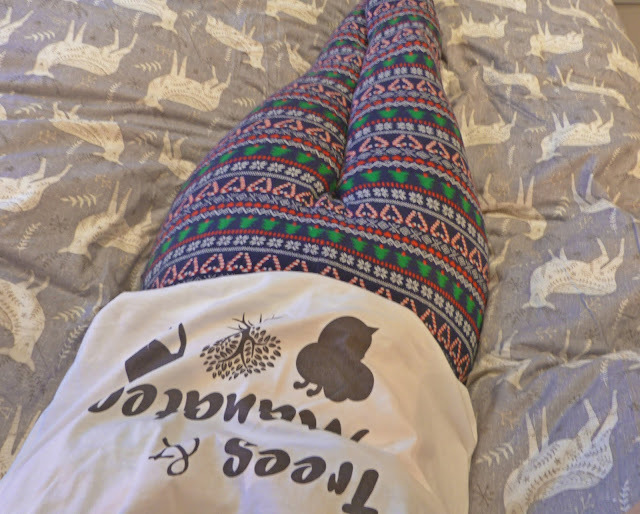 Of course now the nights are colder, always best paired with suitably warm leggings and fluffy socks! Of course how you choose to style it is completely up to you - we're all different and that's what makes us all so unique and beautiful! I'm just showing you a couple of ways of how I like to wear it. 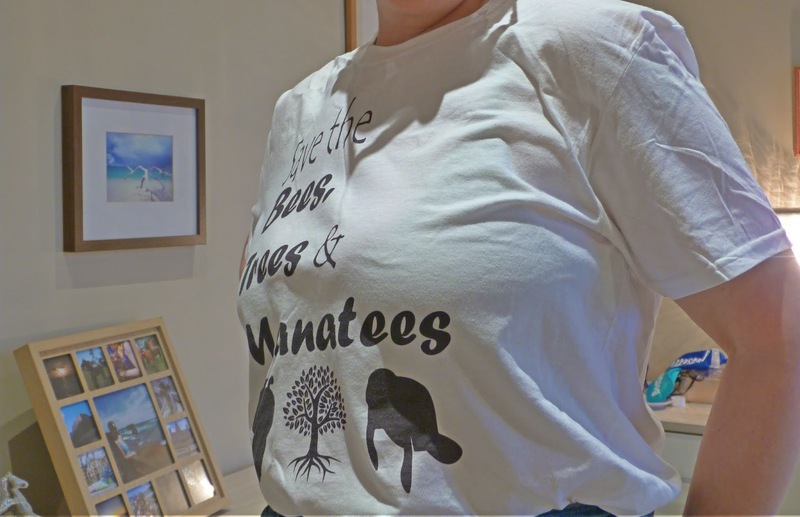 I am so happy to be working with Lauren and supporting her incredible t-shirt business, please go and check out her Etsy shop and think about shopping small this Christmas, it really does mean the absolute world to small business owners when you shop with them. Yes it's easy to shop at places like ASOS, New Look etc, we all do it - myself included! But when it comes to something a little more meaningful, why not spread the Christmas joy a bit further to include local, small, independent businesses who may just need that extra sale to see them through what can sometimes be a quiet sales period. There's so much more thought and care which goes into each individual package too. None of this faceless corporate nonsense, just plain old tender loving care and joy at sharing their work with others and knowing that their present is going to be under someone's tree and bring delight to a loved one come Christmas Day. You can't buy that online! Please please do go and check out Lauren's shop and also all of the other Small Businesses which I've featured over the last year and a bit on my blog. It really really does mean the world to them to be able to be a part of your special day in some small way. Don't forget to enter the giveaway! Lots of luck! The best part of this post - the giveaway! 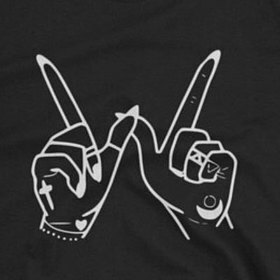 I've teamed up with Lauren to offer one of my readers the chance to WIN their very own Some Weird Tee! I know right?! All you have to do is follow the rafflecopter instructions below to be entered and that's it! *T-shirt gifted in exchange for this review and features on my social media pages. **Affiliate link - I make a small commission on any sales brought via this link.